With their rapid life cycles and—for the cheaper brands—falling prices, many mobiles have become disposable items for consumers keen to move on to the latest model. But out of a large warehouse staffed by white-coated workers in Normandy, the Remade company is embracing a different approach, reconditioning thousands of Apple iPhones every day under the entrepreneurial eye of its 39-year-old boss, Matthieu Millet. He is "Matthieu" to his staff, wears jeans and sneakers, and has installed a piano in the company lobby, bringing a touch of Silicon Valley start-up culture to this windswept pocket of France facing England. Aged just 23, he bought out the TV repair business he worked for at the time and, in 2014, spotted the potential for refurbishing iPhones to tap into a market where even second hand, Apple products command a premium price. Remade—its avowedly English name another nod to US tech—reported turnover of 23 million euros ($26 million) in the first year it began overhauling iPhones. Last year that had swelled to 130 million euros and Millet is adding 200 jobs to the workforce of 850, banking on "very strong growth" this year. Boxes for refurbished iPhones at the "Remade" plant, where high-end mobiles are reconditioned, in Poilley, northwestern France. "We know how to disassemble everything, reassemble everything. The product must not only work, it must work perfectly as intended," he said. The old phones are shipped in from telecom operators not just in Europe but the United States, whose customers have upgraded to newer models. Environmentalists complain that the spent phones all too often get dumped in landfills in the West, or farmed out to regulation-light parts of Africa and Asia where workers are forced to breathe in toxic fumes as they extract and recycle the raw materials built into the devices. 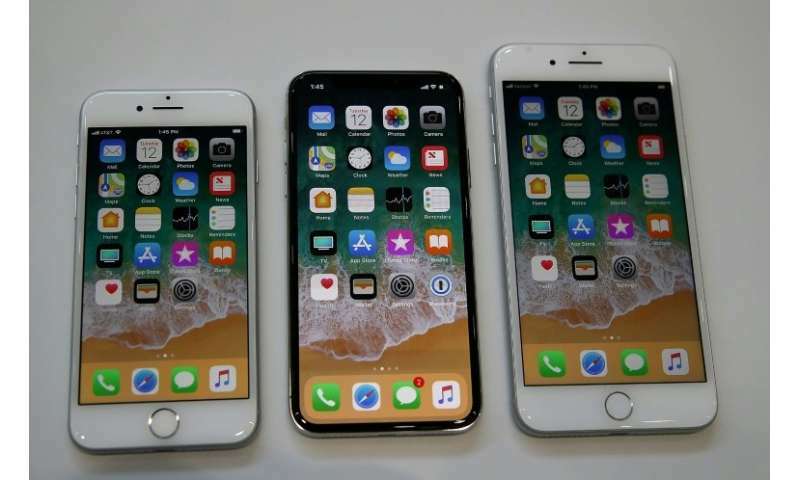 Since the first iPhone's debut in 2007, 7.1 billion smartphones have been produced worldwide but less than 20 percent of all "e-waste" including phones is recycled, according to Greenpeace. 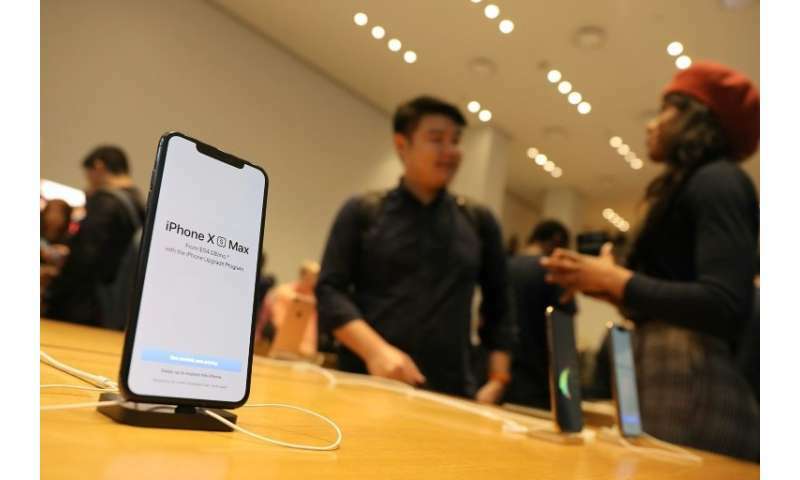 That represents a business opportunity for the likes of Millet, who is cashing in as a new top-of-the-range iPhone XS series tops 1,000 dollars/euros. 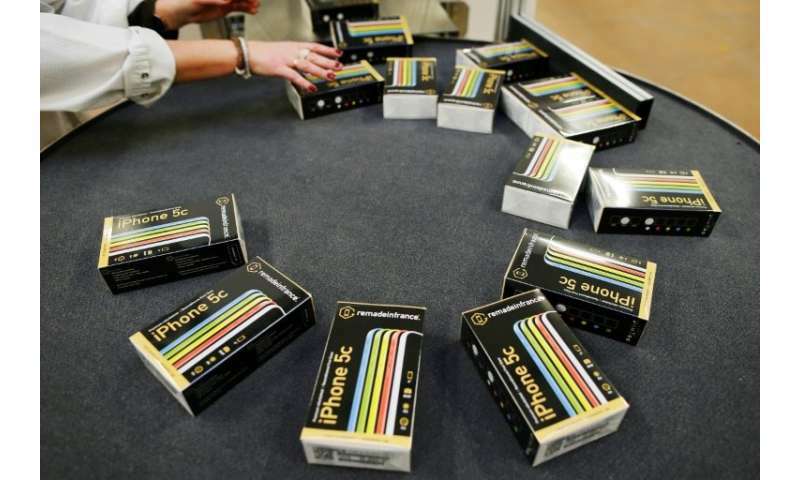 This year, Remade intends to put 800,000 overhauled iPhones back on the market, at a discount of at least 25 percent off the as-new price. "An iPhone can have three lives, it can be refurbished twice, it's the strongest product with the longest life," says Millet. Cheaper Chinese smartphone brands have a stronghold in the developing world, and are seen as especially disposable. Apple and Samsung have been touting their environmental credentials, but the production process inevitably carries a cost. That include carbon emissions along with environmental degradation from the extraction of raw materials such as the metal cobalt, used in lithium-ion batteries, much of it sourced from mines in the Democratic Republic of Congo. Erwann Fangeat, an engineer at the French Environment and Energy Management Agency, praised operations like Remade. 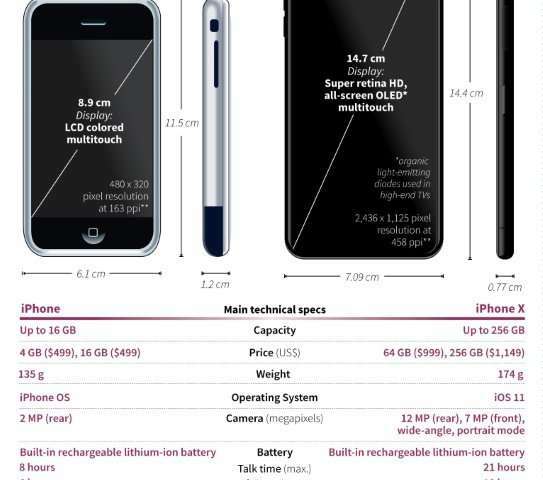 The first Apple iPhone, launched in 2007 and the iPhone X, launched 10 years after. "The product life of a smartphone is at least five or six years but 88 percent of French people change their smartphone while the old one still works and has value," he said. "The longer you extend the life of the product, the more it reduces its environmental impact because it delays the fabrication of a new smartphone," he added, noting that refurbishing an iPhone emits 90 percent less carbon dioxide than making one from scratch. That offers Millet another way to cash in, via the European Union's "cap and trade" emissions scheme, which gives greener companies a market to sell leftover carbon credits to more polluting concerns. He hopes to obtain 100,000 tonnes of carbon credit this year, translating into millions extra for Remade's bottom line. "I'm not Greenpeace," an unapologetic Millet said. "But it makes me happy to have this (business) model, to know that it's good for people and the planet."